At Mt. Bachelor Assisted Living and Memory Care, residents enjoy an active, engaging lifestyle that promotes wellness and independence. It is our goal to keep our residents linked to resources and opportunities that will fulfill their needs and interests in the Bend area. Residents have many opportunities to participate in a variety of life enriching activities and events designed to stimulate the mind, body and soul. From cocktail-hour gatherings where you can learn about the nuances of a good Pinot Noir, to a discussion of the latest best seller in our Life-Long Learning series, to exploring new ways to stay healthy in a fitness class…expect the unexpected. Mt. 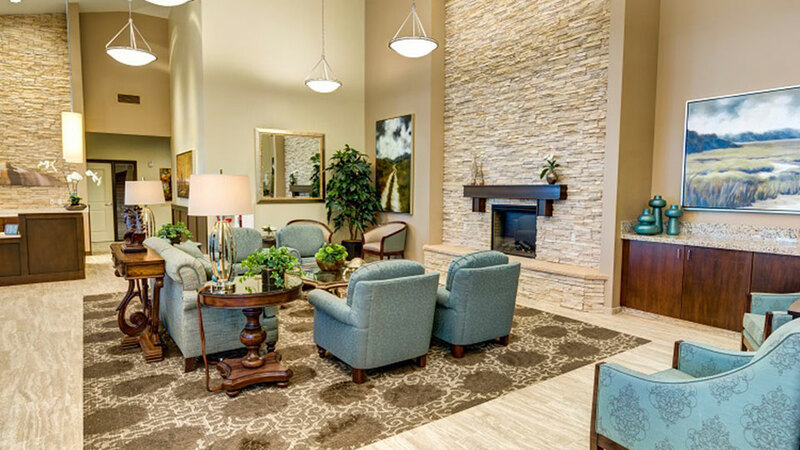 Bachelor Assisted Living and Memory Care includes a specially designed neighborhood to serve the special needs of individuals living with Alzheimer’s disease, dementia and other forms of memory loss. Every day we make it a goal to go above and beyond to enrich the lives of our residents. With our Life Enrichment program, a Montessori-inspired philosophy for care, we create a specialized, life-enriching environment that affords each individual maximum self-expression. The staff is committed to delivering a quality of care that meets the resident’s physical, social, spiritual and emotional needs.